We've had the privilege of having many animal encounters around the world, but we're still holding out hope that we'll make it to central Africa one day soon. We are convinced it will happen. So while we dream of seeing gorillas one day, we take a moment to cherish and remember all the amazing wildlife encounters we've had on all seven continents. If you are planning on travelling and having your own animal encounter abroad, these are our suggestions of ones you cannot miss! Seeing the polar bears in Churchill was our greatest wildlife watching dream. It finally came true last summer with Churchill Wild. We boarded a small twin otter plane to a remote lodge on the Hudson Bay where we spent three days exploring the tundra in search of polar bears. See our Polar Bear encounter in our video. Not only did we see polar bears, we had the honour of walking with polar bears. When we first visited Africa in 2007, we spent five months on the continent and never experienced a true Big 5 safari. We always regret not doing a proper safari before our flight home from Cape Town. Lucky for us, we've had the chance to revisit Africa a couple of times and the first adventure on our list was a safari in Kenya. We spent two weeks going on safari after safari having countless wildlife encounters. Lake Nakuru was all about seeing the rhinos, buffalos and flamingos. Check out our Wildlife Photography Gallery for all our animal encounters from around the world. One of the first animal encounters we ever had on our travels was visiting the Orangutan sanctuaries of Borneo. We went to both the Semenggoh and Sepilok rehabilitation centres of Borneo where we watched orangutans come in for a feeding. This was a magical experience as the Orangutans here are rescues that are slowly rehabilitated into the wild. They are free to come and go as they please and feedings are simply a way to ease them back into living on their own. Once they learn to take care of themselves, they stop coming to the feeding platforms and live out their days back in the jungle. I don't think there is a cuter gentle giant than China's giant panda. When visiting Chengdu, the top attraction for us was visiting the Giant Panda Research Centre. Pandas are endangered and the panda research centre is doing its best to keep the species alive. Luckily, Pandas don't move much or take up a lot of space, but they do eat a lot. 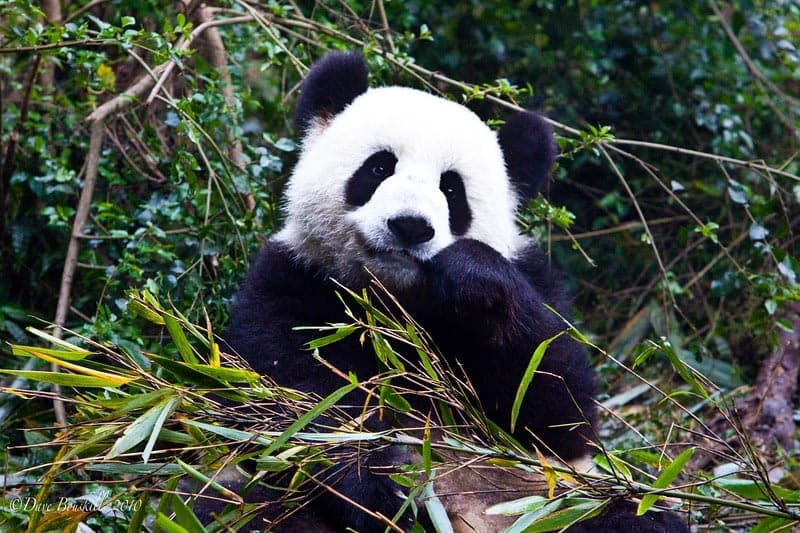 They have to eat up to 40 kilos (88 pounds) of bamboo a day! Walking through the centre lets you see pandas lazing in trees and munching on bamboo. There are baby pandas and red pandas too! 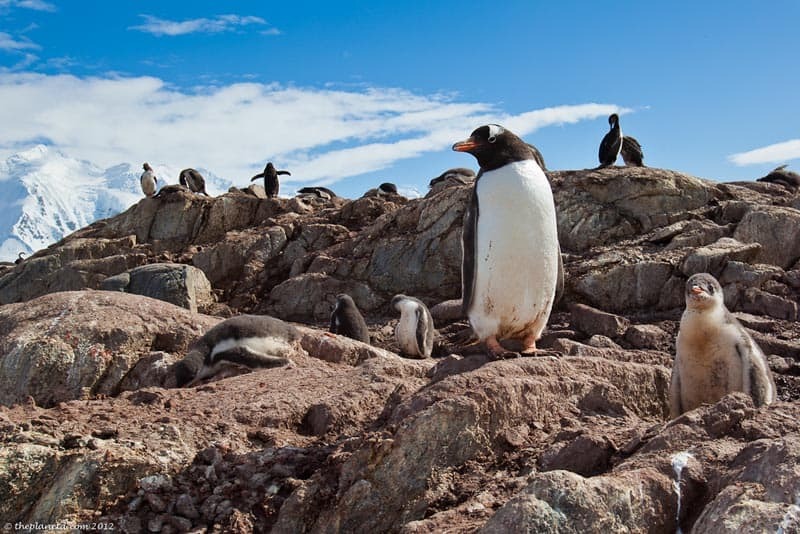 Antarctica is a spectacular wildlife destination for animal encounters unlike anywhere else on earth. Wildlife in the Antarctic don't see a lot of humans so when you land on the island or paddle around the peninsula, animals come out to take a look and see what's up. Penguins are the most curious creatures and if you are very still, they will waddle right up to you and peck at your clothes. They may smell awful, but the penguins of Antarctica are the cutest of all the animal encounters we've ever had. Read more at All the Pretty Penguins. 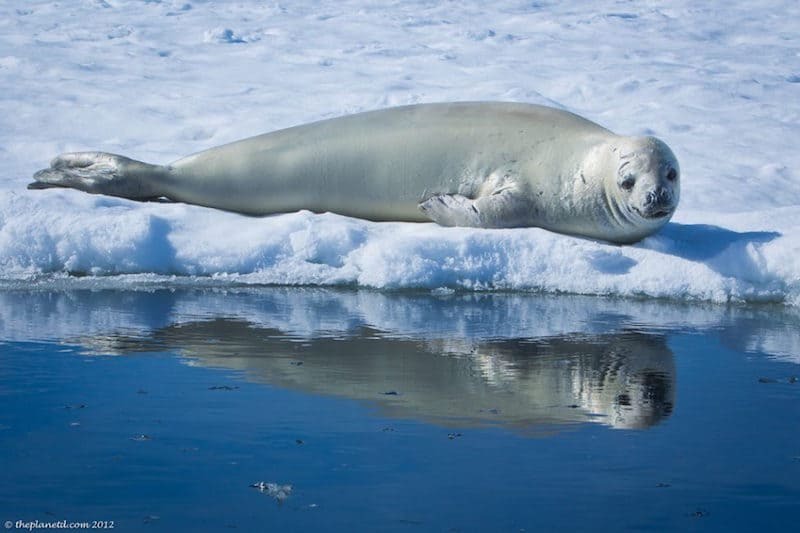 Other animals you'll see in Antarctica are also pretty spectacular. Whales will surface right in front of your zodiac or kayak and seals will ignore you as they bask in the sun while you float by in silence. When we camped on Antarctica, we had a huge leopard seal sleeping less than 20 metres from our camp. We heard it gurgling and burping all night long. Next to Antarctic, the Galapagos is the next best place for up close and personal animal encounters. 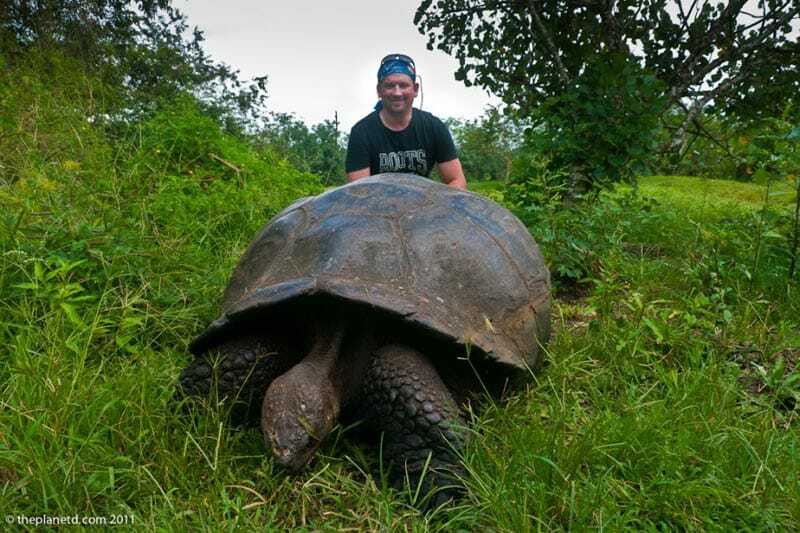 The giant Galapagos Tortoise are over 100 years old! The wildlife in the Galapagos is also the most unique on earth. It is here that you'll see species that you won't see anywhere else in the world. The marine iguana is a one of a kind iguana found only in the Galapagos. The galapagos shark is native only to these islands and the only place you'll find the flightless cormorant is here. There are penguins, blue footed boobies and more! But for us, the best animal encounter was seeing the giant galapagos tortoise. It's the largest tortoise in the world living up to 170 years old. They are the largest fish in the sea. Swimming among these gentle giants is an experience you'll never forget. Whale sharks can grow to 12 metres (40 feet) in length. They migrate off the coast of Mexico from June to September and tours take people out to their feeding grounds where you can jump in the water for a closer look. Whale sharks swim fast so it's work to keep up with them, but it's worth the effort. Even if it is chaotic above the water, it's serene and silent underneath as whale sharks silently swim through the sea. 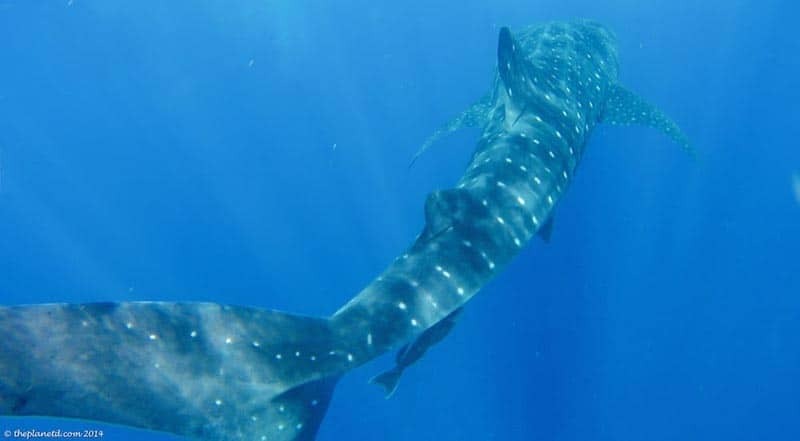 See our entire experience as we Swim with Whale Sharks. Staying in the water, another spectacular animal encounter we had was in South Africa when we went cage diving with great white sharks. Would you dare to dive with Great White Sharks? 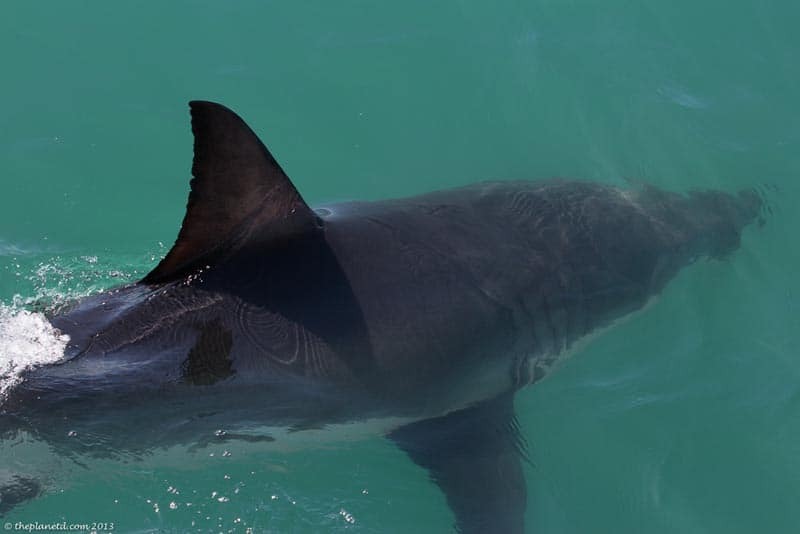 We dove with White Shark Projects who is very concerned about conservation and preservation. Sadly, sharks are the most misunderstood creatures in the world. Almost 40 million sharks are killed each year for their fins alone to feed the Asian market’s desire for shark fin soup. Diving with sharks helps yourealizee that humans are not the sharks' first choice in food and you can see just how intelligent and beautiful they are. Outside the cage, we've also had our share of shark encounters. 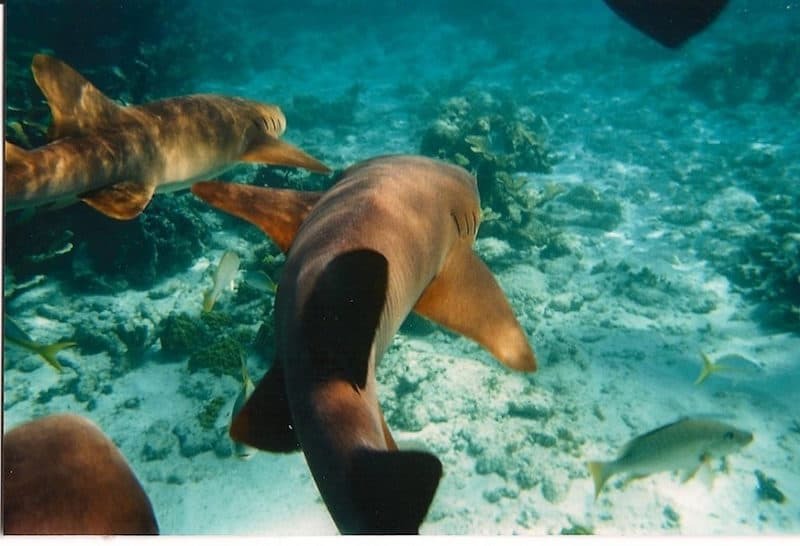 From scuba diving in Mexico to snorkelling with the galapagos shark. But it was our first experience in Belize that sticks with us. Swimming with sharks and manta rays in Shark Ray Alley is an experience you'll never forget. We didn't expect to have an incredible animal encounter in Europe. It's not the first place that comes to mind when thinking of wildlife. 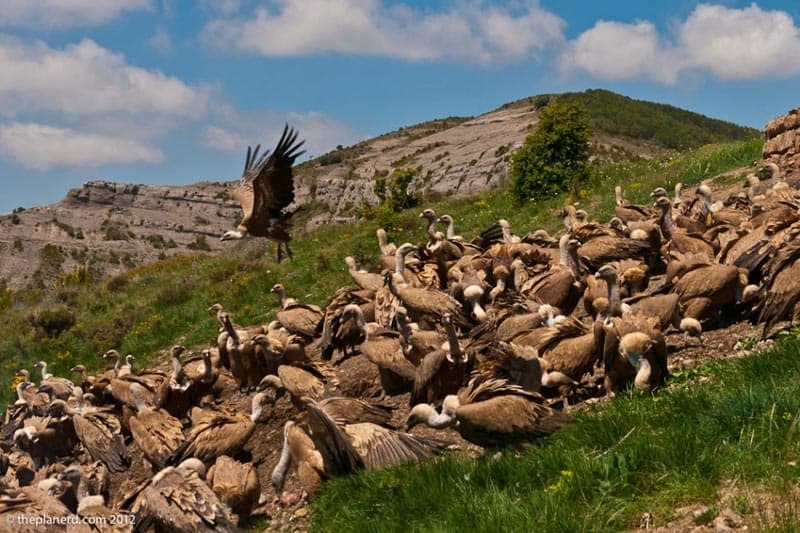 Vultures in Spain, Who Knew? But in the Pyrenees of Spain, we visited a vulture hide where we could watch these birds of prey feed in their natural habitat. There were hundreds of vultures feasting on goat meat. My favourite Canadian animal is the moose. They are just so huge and dopy looking. Don't let their gangling awkwardness fool you though, moose can be vicious and when encountering them in the wild you must show respect and keep your distance. The way to view moose in the wild is definitely by canoe. 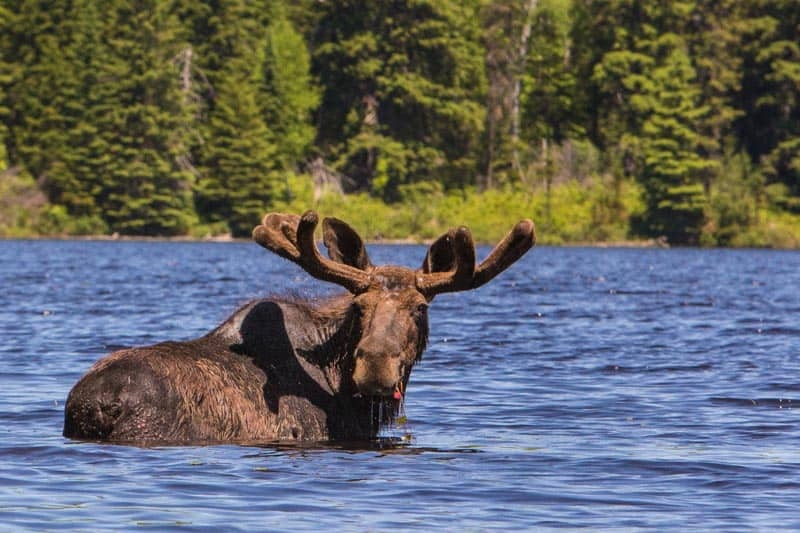 In Algonquin Park, Ontario, moose are plenty and if you go with the right guide you'll see dozens hanging out on the water's edge or even swimming in the water at sunrise and sunset. 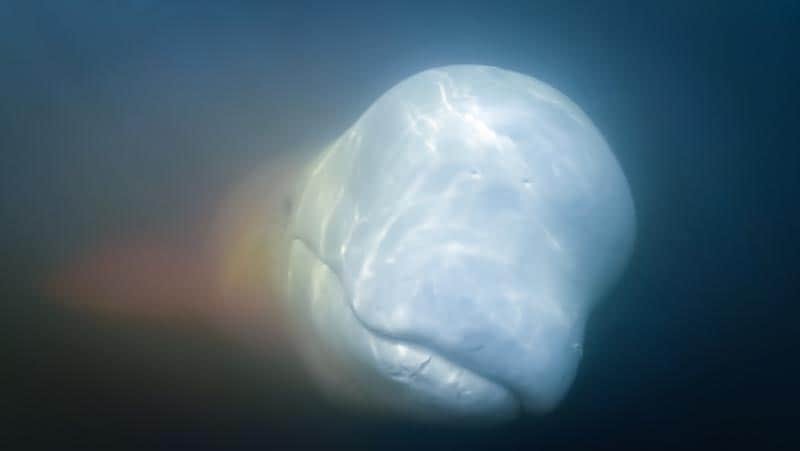 Paddling with beluga whales playing under our boats in Manitoba was the most uplifting animal encounter we've ever had. They were little darlings rubbing their noses on our boats, popping up whenever we sang and swimming all around us. The more you sang the more curious they became. And once they spotted your boat, if you paddled hard, they would play in your wake and follow you everywhere. We were a little nervous to swim with dolphins in South Australia considering we just went cage diving with great white sharks the day before. We were particularly nervous when our dive master put on an electric transmitter that apparently keeps the sharks away and told us to not stray too far from him. Plus, the water was freezing. A mere 16 degrees Celsius (about 60 Fahrenheit). 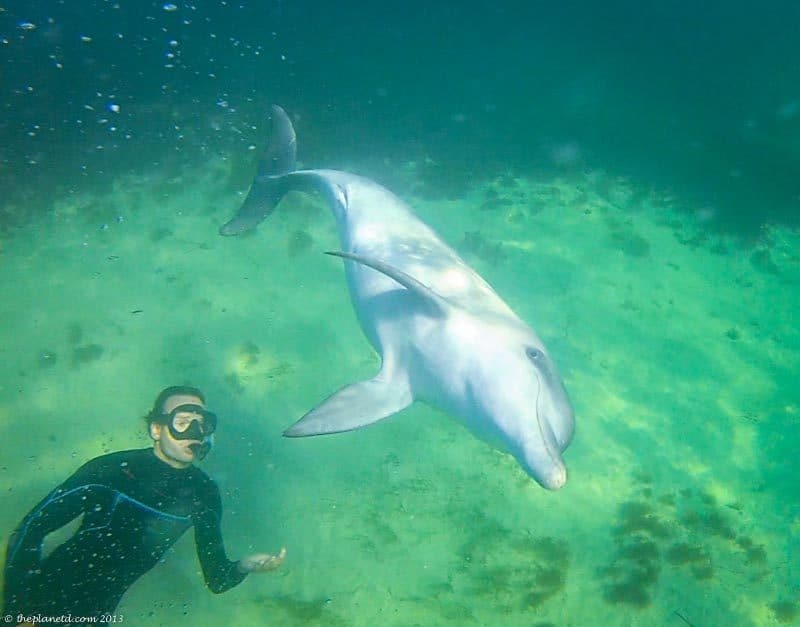 But once we were in our dolphin experience in Baird's Bay, it was the best we'd ever had. I couldn't believe how playful these little guys were. If they're having fun, they'll stick around. Our dolphins clearly loved us because they stuck around for a really long time and we got out of the water completely thrilled. 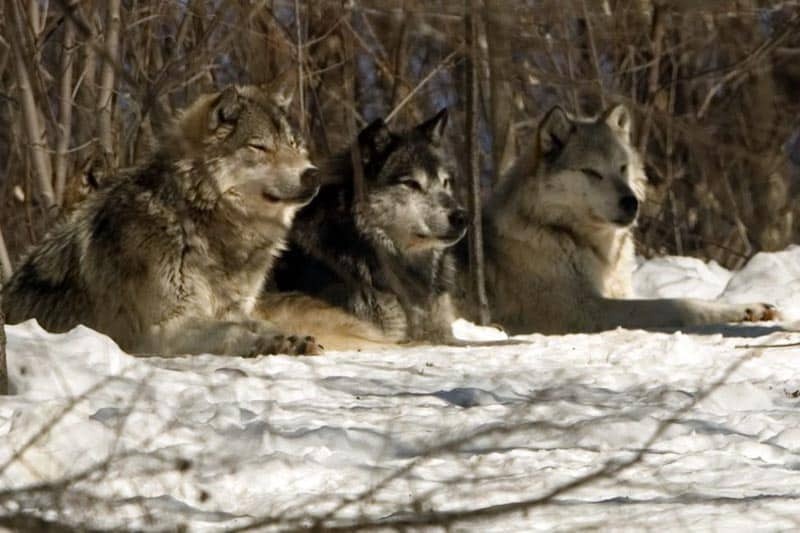 In our home province of Ontario, Canada there is a wolf sanctuary in Haliburton Forest. 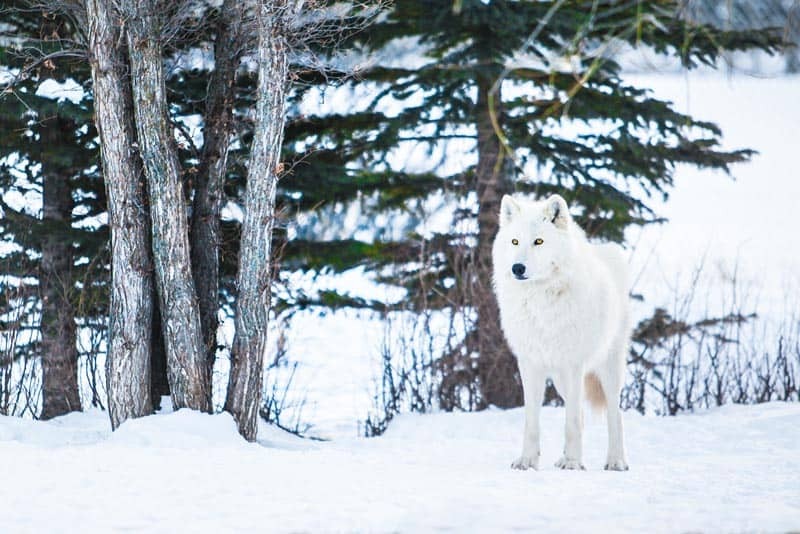 It's an amazing way to observe wolves in their natural environment. There is no interaction with the wolves. They are outside in a large sanctuary while you look on from inside a building behind a large glass window. The wolves are free to roam the property and only come in for feedings. They may not be wild, but the Yamnuska Wolf Dog Sanctuary in Alberta is an uplifting animal experience. The sanctuary rescues wolf dogs and rehabilitates them and tries to find them new homes or sanctuaries to live out their days. Visitors can go into their habitat and sit with the wolf dogs. Once they feel comfortable enough, they may come and let you pet or feed them for just a minute or two. 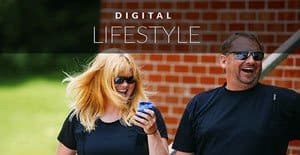 Watch our Wolf dog video. 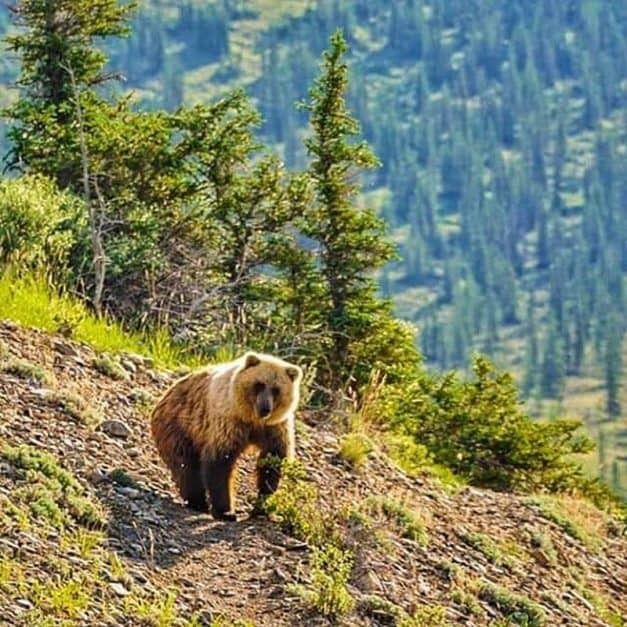 We finally saw a grizzly bear in the wild in the Yukon. We were on a base camp adventure with Canada Parks and all week we had seen grizzlies in the distance. Just as we were about to catch our bush plane out, a grizzly mama with two cubs walked right by our camp and spent a good 15 minutes swimming in the water, burrowing in the ground and frolicking with her cubs. It was magnificent. Check out our video of the Grizzly Encounter. 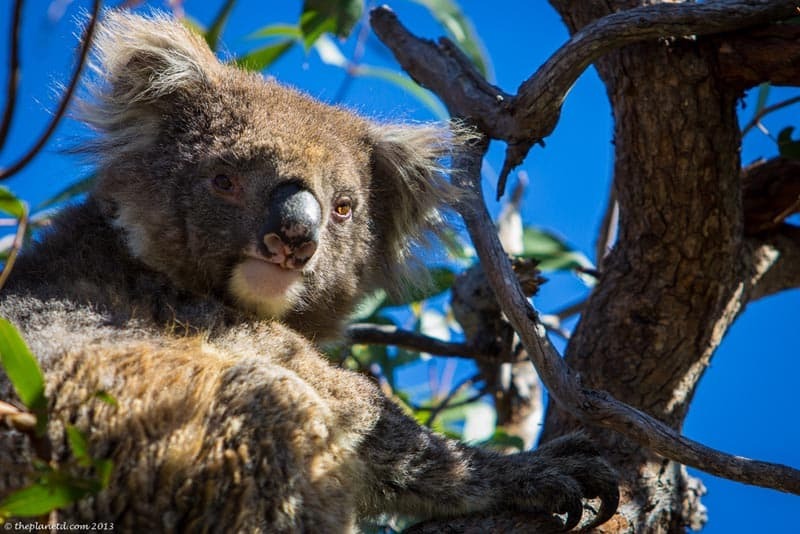 South Australia was a fantastic place for wildlife encounters. We saw nearly every unique species of the continent including seals, sharks and dolphins. Kangaroo Island has a bird sancturary and an abundance of kangaroos. But we couldn't get enough of the cute koalas. 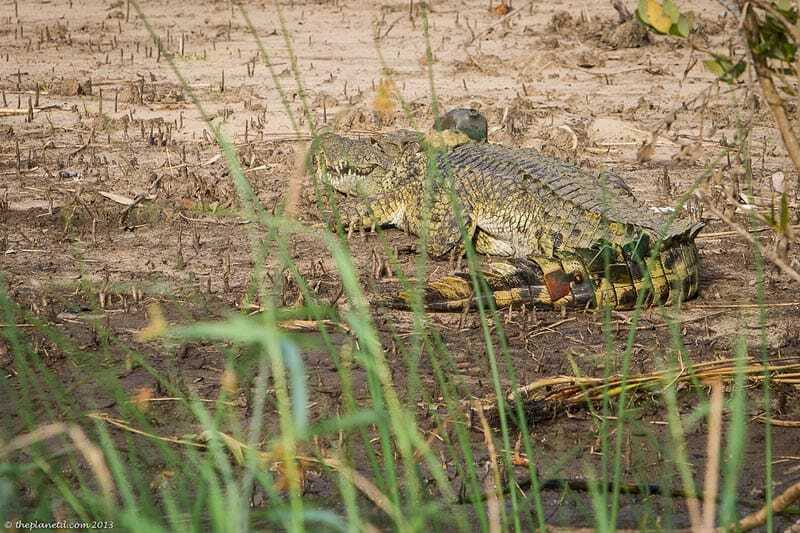 You have to be crazy to get close to a crocodile. That's what we told ourselves when kayaking in a crocodile infested river in South Africa. It was an adrenaline rush to say the least, but wow, what a memorable experience. Who doesn't love sea turtles. They look like cute little old men. We've snorkelled with sea turtles a few times, but it was in the Maldives that we had the best sea turtle encounter ever. On a reef just off shore from Cinnamon Dhonveli we went snorkelling with sea turtles for a solid hour. We saw nearly a dozen sea turtles during our time on the reef. It was wonderful. We're not much into birds. But the Bird Sanctuary at Iguazu Falls was actually quite awesome. They rescue birds from traffickers and the black market and give them a sanctuary to live out their days. 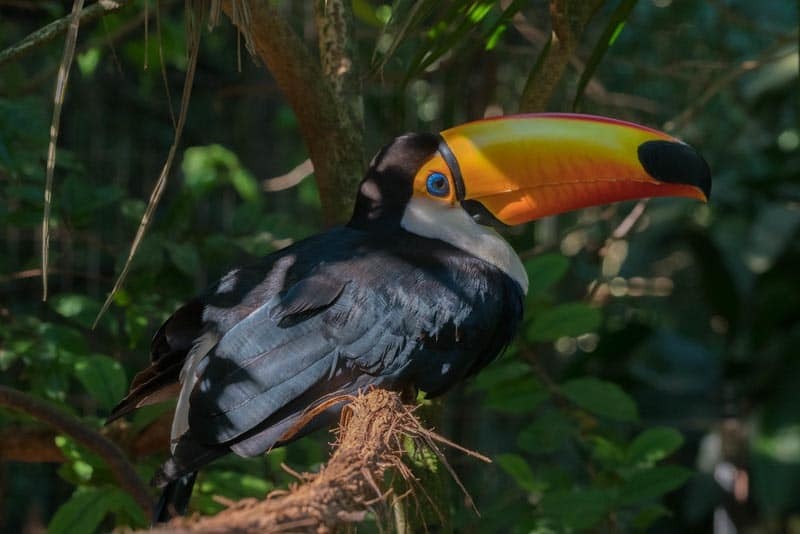 While seeing all the amazing birds like parrots, macaws, and parakeets, it was the toucan that we were most excited about. Seeing them up close was a beautiful experience, but seeing them in the wild all over Iguazu Falls was spectacular. 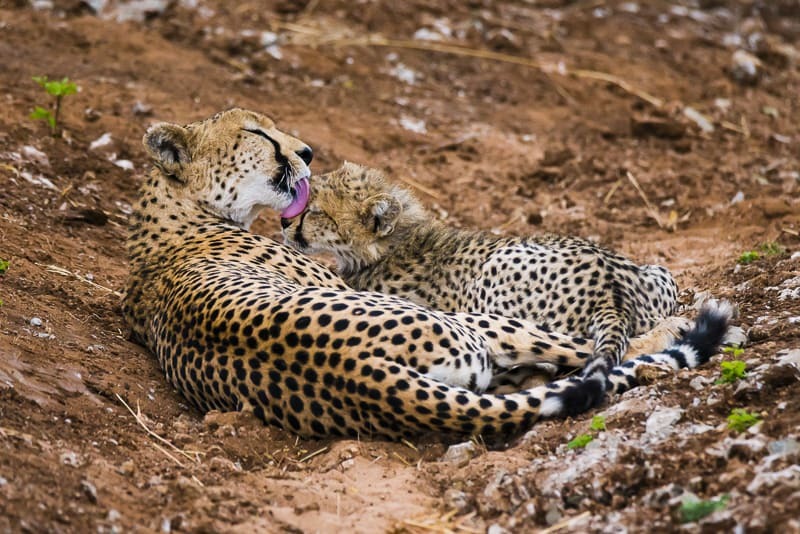 I don't think there is a better place on earth for a wildlife safari than in Tanzania. The Serengeti will give you every African animal sighting you've ever dreamed of. From leopards leaping up trees, to lions sleeping in trees, and ostriches mating, we've never had so many unique animal sightings in one trip as we've had in Tanzania. So there you have it. Our best wildlife encounters since our first travels in 2003. We've been to a lot of places and seen a lot of wildlife and these are our favourites. We still want to see the gorillas and we'd love to see the Komodo Dragon. But having dreams is what keeps life exciting. We can't wait to add more to the list! 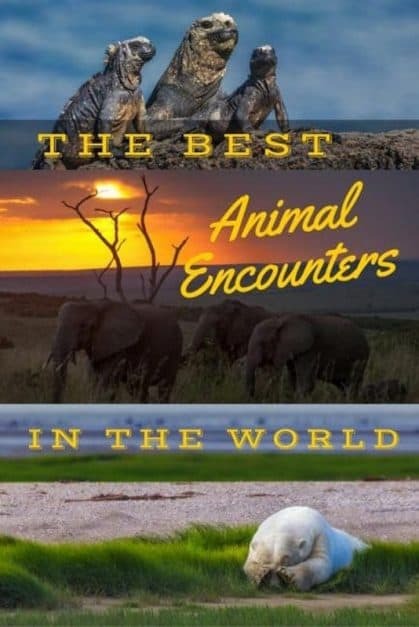 17 Responses to "21 Not to be Missed Animal Encounters From Around the World"
I think seeing the big migration in the Serengeti was the best thing this year when it comes to animal encounters. Feeding hyenas in Ethiopia was amazing as well. Great list guys! That’s a neat experience to feed hyenas in Ethiopia. I remember a lot of them around our camp at night when we were cycling through the country. 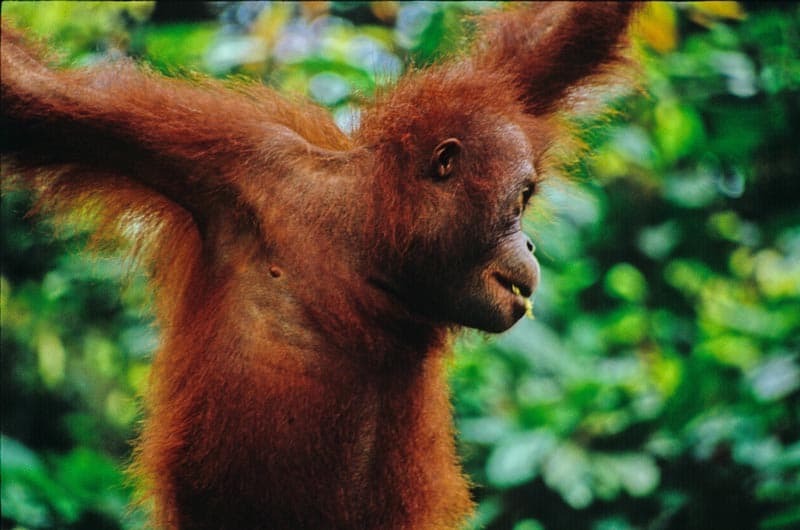 The Orangutans in Borneo in Semenggoh and Sepilok are very tourist orientated for a more natural experience see the Orangutans and Tigers in Sumatra. How you missed out on any of the primate experiences in eastern Africa? In Uganda and Rwanda there are Gorillas, Chimpanzees, Golden Monkeys.. 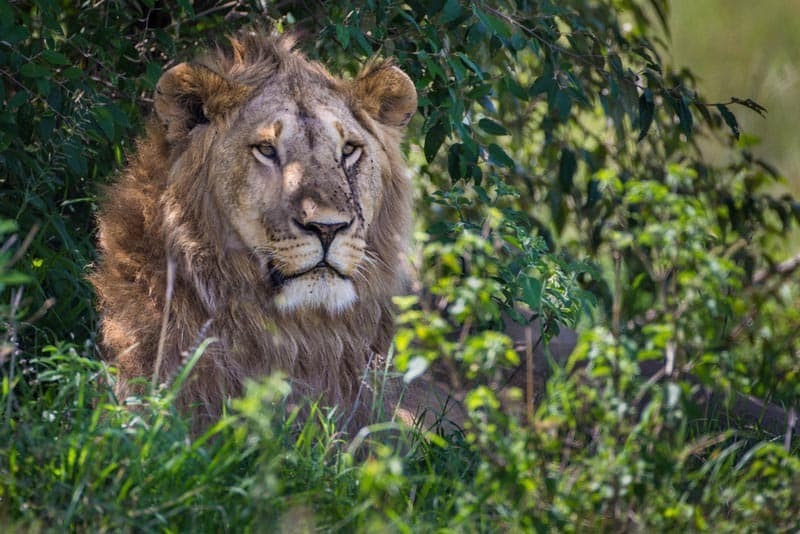 These are some of the most amazing wildlife encounters not to miss out on, in addition to the famous Big Five! We haven’t done those yet, but hope to soon! Love the beautiful animal videos and images. 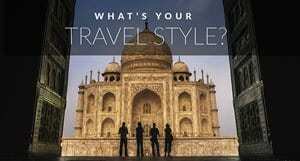 Have you ever visited Northeast India ? Visit Northeast India for its beautiful forest, Flora & Fauna. Being a biologist (although I don’t work as one anymore) the wildlife and the animals of this world naturally enchant me. I have been swimming with dolphins, in the Atlantic by the Azores, which was a magical experience. I’d love to meet the Beluga whales the way you did. A destination I plan to go to in the near future is Borneo. I have a dream about visiting a rainforest, with all its overflow of life in so many different forms. An encounter with orangutangs would be a memory for life, and hopefully it can in some way mean a contribution to the awareness of the threats against them. Personally, I have an issue concerning how to meet animals in their own habitat without contributing to the deterioration of that habitat. 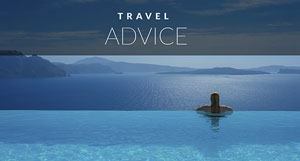 Do you reserach in any way before you go on a trip on this issue? 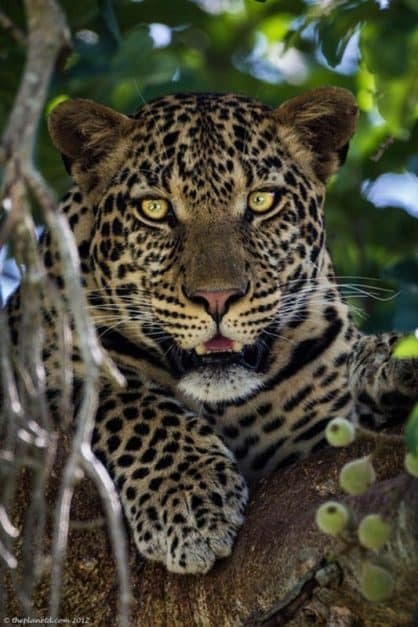 Visiting animals in the wild is in some ways a double-edged sword, you may draw attention to the situation of the animals, but at the same time you may be part of the intrusion and the negative effects of wildlife tourism. What are your thoughts on this? Great photos. You have seen most of the best of the world’s Yes. The mountain gorillas of Rwanda/Zaire/Uganda are a must see. You also need to get to Madagascar to see the lemurs. Not sure if you have been up, close and personal with the tigers of India but that is also a great experience. Wow, the pictures are amazing, the experiences to see these animals must be simply incredible! We just returned from a dive trip in and around Komodo National Park and got to go ashore for a morning to see the Komodo Dragons. My bucket list looks a lot like yours, but included the Komodo Dragon, so it was great to get to see them. And Sara – if you Google “best time for whale sharks in Mexico,” you’ll get a ton of results. It looks like May-Sep is the season, with July and August being the best. Literally EVER single one of these is going on my bucket list! 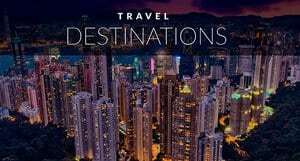 #1 is to swim with whale sharks – we’re getting Married in Mexico in May… do you guys know what their season is and can you recommend a great tour operator? I love this! Moose are my favorite Alaskan animal as well. Thanks for all your inspirational photos!